Join us on Saturday, April 8, 2017, as we Partner with the Members of Lanexang Village in Coteau, Louisiana. 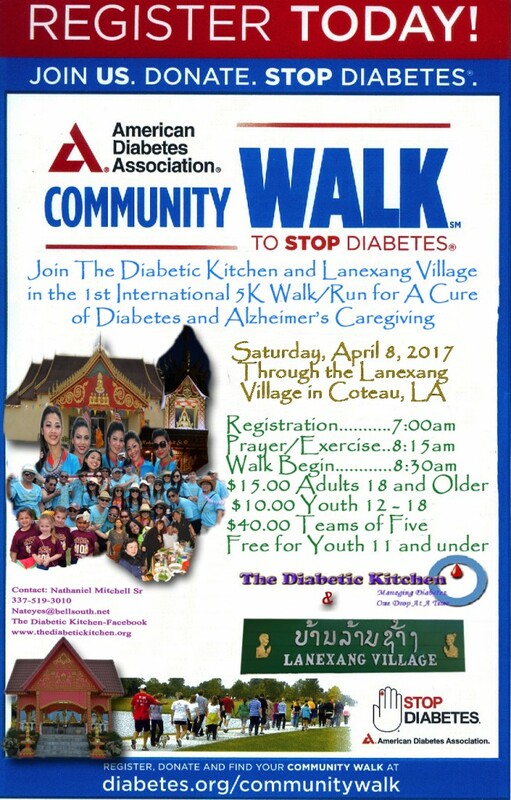 Please consider joining The Diabetic Kitchen and the members of the Lanexang Village as we invite everyone to join us in hosting Iberia Parish 1st International 5K Walk/Run for a Cure of Diabetes and Alzheimer’s Awareness. The event will be held on Saturday, April 8, 2017, through the Lanexang Village in Coteau, Louisiana which is a Laotian Community. 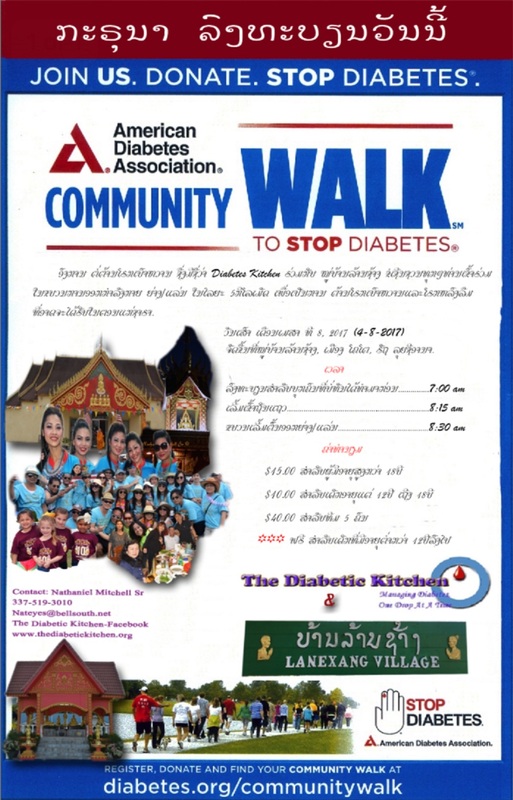 The members of The Diabetic Kitchen and the Village Members have come together to promote a greater Awareness of Health & Wellness between one another because both groups realised an alarming increase of Diabetes by far too many family members. Thus the groups have partnered and formed and Information, Education, and Hope-Filled Outreach Pocket of Help.